Shoreline Amphitheatre was opened in 1986 under the direction of Bill Graham Presents. The venue consists of 6,500 fixed seats and room for 16,000 on the lawn. 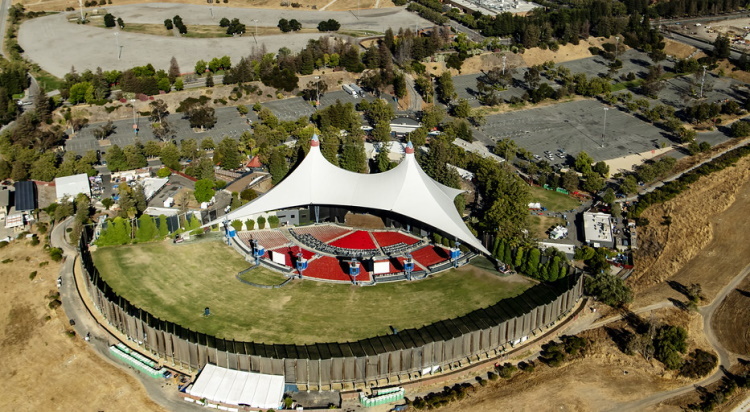 Situated on over 60 acres in the heart of Silicon Valley - 10 miles north of San Jose and 35 miles south of San Francisco - Shoreline boasts one of the world's largest tent structures over its pavilion.